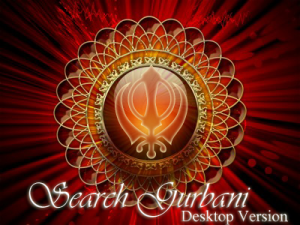 After 6 long years of work, the launch of the world’s most accurate Guru Granth Sahib search engine called GurbaniDB (which stands for Gurbani Database) in English and 52 other languages is imminent. The plan is to launch for Vaisakhi 2011 in April. In a previous post on the Collaborative Translation System I briefly introduced this system/search engine with some screenshots, but now I want to go into more of the juicy details, because this is nothing short of a revolution in eGurbani which will change the future of the Sikh way of life for generations to come. Translators can contribute their improvements to the translations by registering an account. All translators are assigned to a specific language and managed by a Project Manager who is an expert in English and a native language e.g. Spanish. The Project managers are responsible for maintaining the quality of their translation language and managing their team. It has always been my view that the Sikh Gurus gave the Guru Granth Sahib for the benefit of the whole world, not just to the Sikhs. So with this in mind, it’s always been my vision to make the Guru Granth Sahib available in a language people can understand, at a price they can afford and in a form that they can use. Therefore, the Guru Granth Sahib must be translated into every language of the world, and we will not stop until this is done. And since language tends to evolve into new forms and it is unknown how many languages there really are (probably close to 7000), this aim will never be complete and so this organisation must continue to exist way beyond our own lives. So basically, its the best trade-off we have right now to help create translations quickly, get the most people involved and keep them to a high standard without diluting the message of the Guru Granth Sahib. One day, we shall open up this platform so that any person can start their OWN translation of Guru Granth Sahib and user’s can rate its quality. But for now, the mission is to stay focussed on creating 52 high quality translations in all the world’s languages to be as close to Sant Singh Khalsa’s English translation as possible, so that we have some sort of solid base for the future. The beauty of this is you don’t need to know Gurmukhi to get involved, you just need to know English, be a native speaker of another language and have some understanding of the flavour of the Guru Granth Sahib’s message and effect. The Project Managers, who shall be interviewed to assess their skills and passion and who shall be recruited to work full-time (both paid and unpaid) on GurbaniDB, shall be responsible for maintaining the quality of an entire language and will be experts in English, a native speaker of the language they manage and have a deeper understanding of the message of the Guru Granth Sahib to ensure that the translation is of the highest quality. Overall, with recruited Project Managers and many volunteer translators working together, the vision of GurbaniDB will be realised. The GurbaniDB Cloud deserves a special mention. Cloud computing has made something beautiful possible: all data is available in one place instantly from anywhere. So we decided to use this concept in GurbaniDB. All the GurbaniDB data exists virtually in a cloud somewhere (in a MySQL database) and so all the Gurbani data in the search engine, including the latest translation updates, can be accessed instantly by Gurbani software developers to create high-quality Gurbani applications that are being updated almost in real-time (I say ‘almost’ because until a language is mature enough, it won’t be made available to software using the GurbaniDB Cloud and also, there is a small lag in accessing the data). Before the existence of GurbaniDB it was virtually impossible for a Gurbani software developer to find a database of the Guru Granth Sahib (and other Sikh scriptures) in order to create some software. I know this very well, because as part of The Sikher Project I tried very hard for many years to create the very first Open Source Gurbani Seacher software called Sikher Version 1.0 (which was to be made available on Windows, Linux and Mac). The problem to completing it was always the lack of access to Gurbani data. Also, those who had that Gurbani data were not willing for me to use it, even though it was for the benefit of mankind. The concept of the GurbaniDB Cloud will eliminate this problem forever. So, if you’re ever inspired to create Gurbani software there are no longer any barriers to doing this. 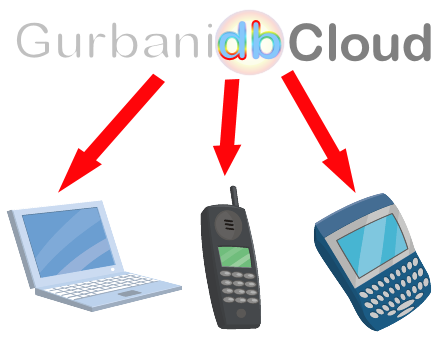 To get access to the GurbaniDB Cloud, all you will have to do is sign up – it just helps us keep track of how many developers are using it and how heavily, although there are no restrictions to its use. This is a revolution, but its just the beginning of the revolution, so the best it still yet to come.